A man sentenced to 19 years in prison for conspiring to commit ‘environmental terrorism’ has been granted early release from prison, as a judge agreed to a settlement between Eric McDavid’s defense and prosecutors over evidence withheld by authorities. 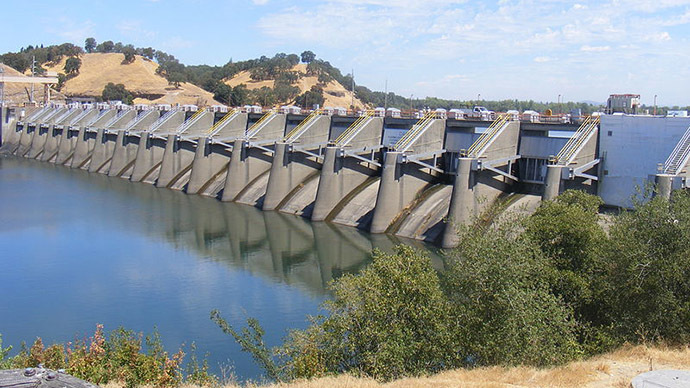 McDavid, 37, was convicted in 2007 and has served nine years in prison for allegedly conspiring to bomb government and commercial targets near Sacramento - including the Nimbus Dam in northern California - he deemed detrimental to the environment. His prosecution was based on a paid government informant known as "Anna" who housed and fed McDavid and his co-defendants, encouraging them to plot illegal activities while using FBI surveillance equipment to relay their interactions back to authorities. Anna began working for the FBI at age 17 after writing a community college paper about infiltrating protest groups, according to the New York Times’ account of the settlement. “Today we corrected one of the most egregious injustices I have ever encountered in my legal career, if you consider being released after nine years of wrongful incarceration justice,” said Ben Rosenfeld, one of McDavid’s lawyers. Pursuant to the agreement, McDavid pleaded guilty to a conspiracy charge and was sentenced to time served. Judge England then granted McDavid’s motion to vacate his original conviction and sentence of 235 months. McDavid waived all future civil claims. The federal government downplayed the withheld evidence, which was provided in November and December, according to the settlement. “The nondisclosure was inadvertent, and the documents were produced to the defendant promptly after their discovery,” said Lauren Horwood, a spokeswoman for the US Attorneys’ office in Sacramento. The FBI’s pursuit of McDavid came amid a punitive crackdown on “eco-terrorism” in a post-9/11 environment. “McDavid’s homegrown brand of eco-terrorism is just as dangerous and insidious as international terrorism,” prosecutors wrote in a sentencing memorandum. Anna testified that McDavid requested explosive recipes and had threatened her life at least once. The defense argued that she had entrapped McDavid, who had romantic interest in her, and, based on recordings heard in court, had repeatedly and aggressively pushed him and his co-defendants -- who were compelled to testify against McDavid in exchange for a reduced sentence -- to follow through with actions despite the group’s ultimate lack of initiative. “She fomented the alleged conspiracy, literally herding defendants together from around the country for meetings, badgering them to form a plan, and mocking and berating them when they showed disinterest,” Rosenfeld and another McDavid lawyer, Mark R. Vermeulen, wrote last year.